My OpenID works fine with StackExchange servers. can you please be more precise and tell us which URL you're trying to authenticate against? A screenshot would also help. If I'm not logged into the Symantec/Verisign Personal Identity Portal yet, and I try an OpenID login to Ask Openstack, I get the usual reminder from Verisign to log in there first. 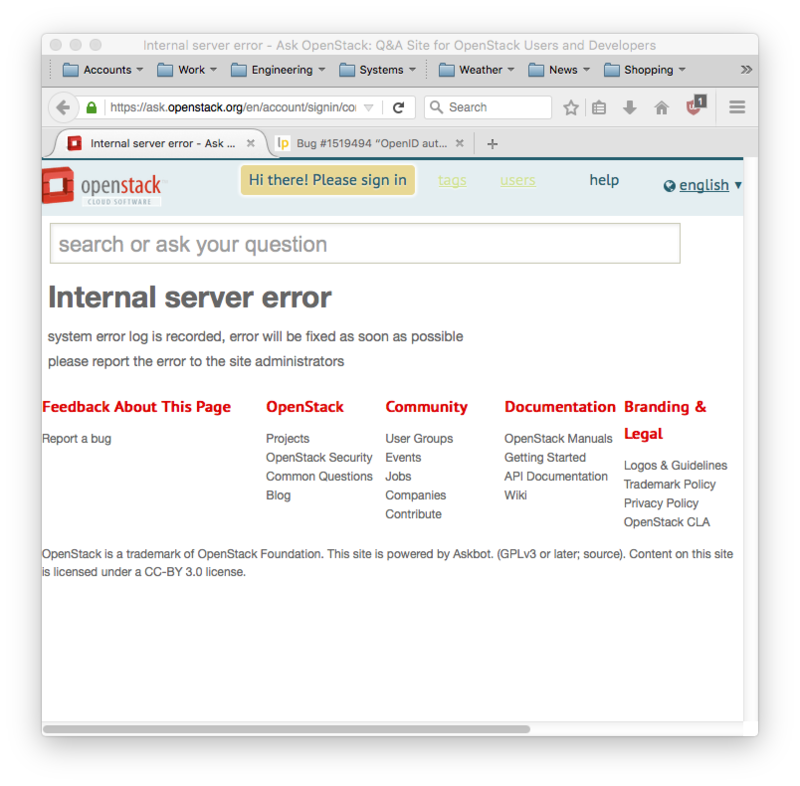 Once I'm logged into that, when I try an OpenID login on Ask, I get the error as shown in the attached screenshot. Sorry to hear that. I am not an expert in OpenID but I believe this issue may be hard to fix ... Can you use another auth mechanism, like launchpad?